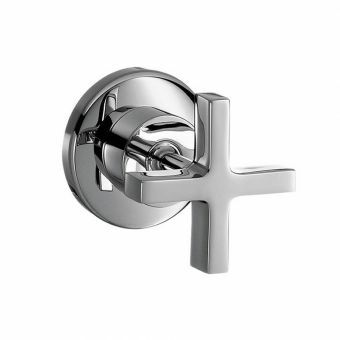 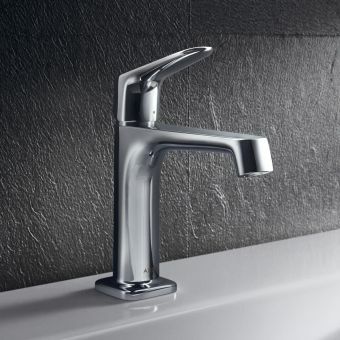 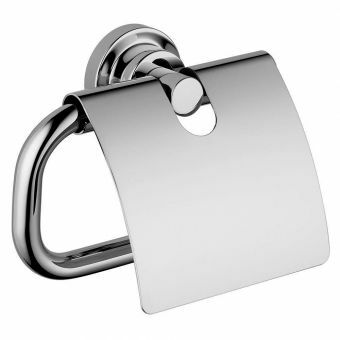 Hansgrohe is a brand that is famous for its excellence in German engineering. 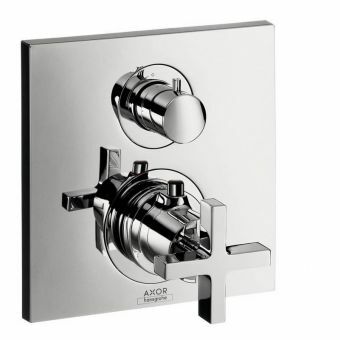 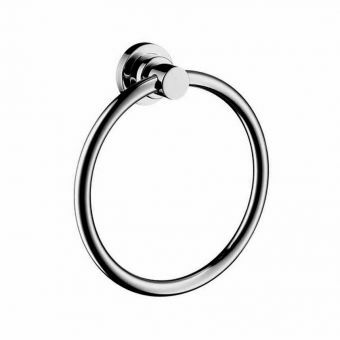 The Axor Citterios shower set is sure to meet your exacting standards. 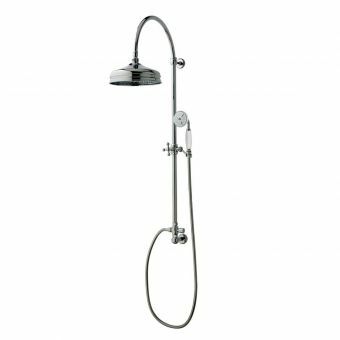 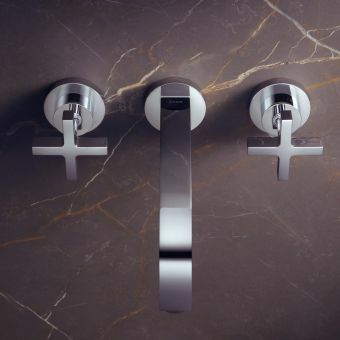 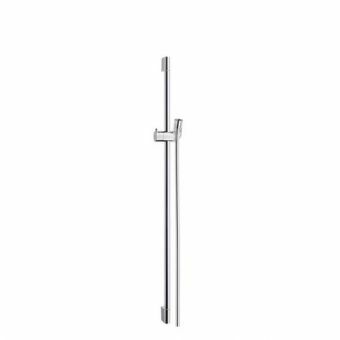 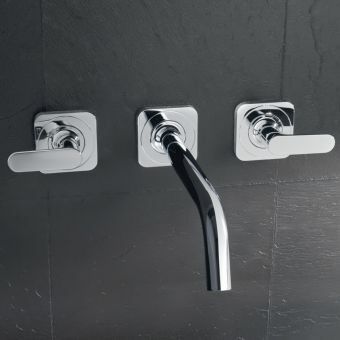 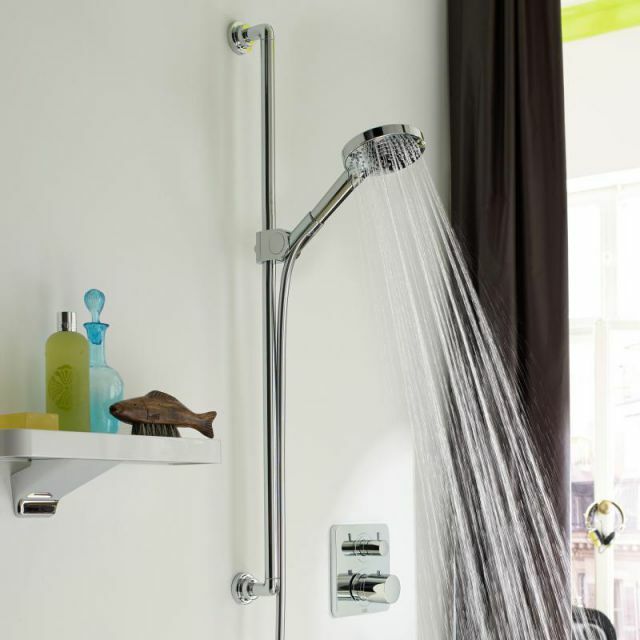 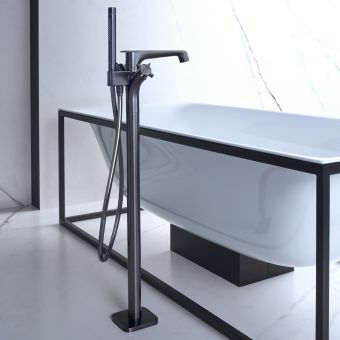 The set includes the Axor 120 3jet hand shower and a 1.6-metre Isiflex shower hose all fitted to the slender rail with an adjustable angle connector. 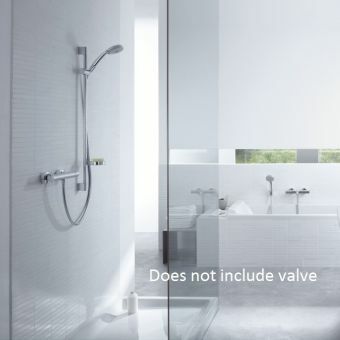 The shower head utilises Hansgrohe's unique Airpower technology which saves both water and energy while still giving you a luxurious shower experience. The shower head achieves this by sucking in air and mixing it with the water spray, increasing the volume of each drop. 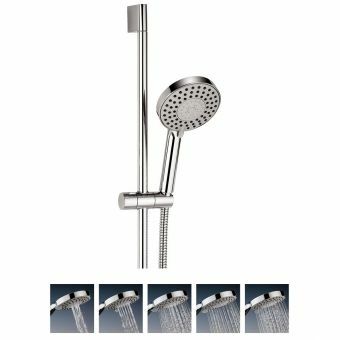 The technology is not only more efficient but also enhances your shower by making each water droplet lighter and softer against your skin. 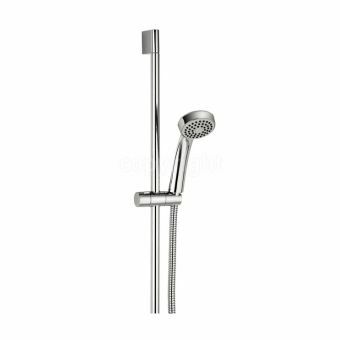 The shower head also features flexible silicon nozzles with Hansgrohe's QuickClean function which enables easy removal of dirt and limescale. 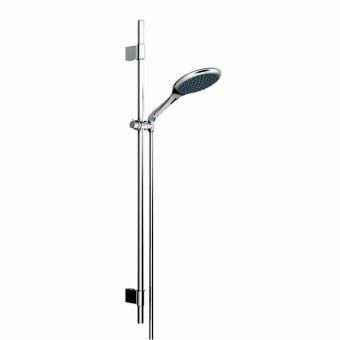 The Axor Citterio shower set is the perfect combination of modern technology and style, making it the perfect addition to your bathroom.